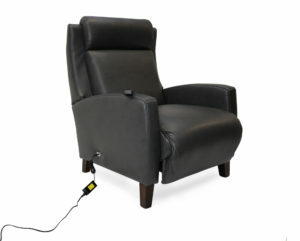 Motorised recliners are undoubtedly always very useful for when you need to recline and rise with ease. However the need for these chairs to be constantly plugged in can be restrictive when it comes to room layout and interior design flexibility. It becomes an immovable fixture. Knowing that such a chair needs to stay in one place doesn’t just limit the scope of the design but also that of those sitting in it. Both chair and user can quickly become ‘immovable’ fixtures. 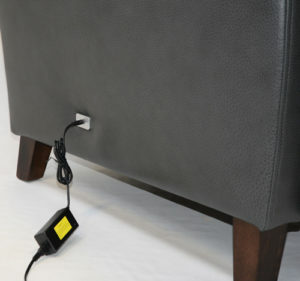 That’s why we’re so happy we are now able to include a battery pack in our recliners – the Kingsman, Knightsbridge, Milford, Murray and Seddon models. The chair can perform up to 150 cycles on one charge, so it only needs to be plugged in for a quick recharge every now and then. This means you can now move chairs (and people) around the room for a change in scenery without the need for ugly extension cords to trip over.